We were greeted by the friendly and knowledgeable service staff who made us feel very warm and welcomed. We sat at a table by the window and looked around the restaurant to find that every seat was decorated with authentic Pakistani cushions, cute touch! We asked the waiter for his recommendations, and he immediately told us to order the mutton Seekh kebab, he also recommended a special for the evening, Chicken Achari. We took both his recommendations, in addition got the fresh Tandoori Naan, and simply couldn't resist the Palak Paneer! I'm usually not fond of Mutton, but these kebab were prepared well. The seasoning was nicely balanced (a bit on the spicy side) and they were grilled to perfection! The fluffy Tandoori Naan was the perfect texture of crispy and chewy. One of my favorite food memories from past visits to Pakistan is enjoying fresh Naan, and this brought me back to that happy place. Palak Paneer is one of those guilty pleasure in Pakistani cuisine. You think spinach, and you automatically think healthy, but this dish is everything besides healthy. Rich stewed and flavorful spinach cooked in copious amounts of ghee and cream garnished with seared cubes of curd cheese. How can you go wrong? It can be enjoyed with Basmati rice, Naan, or even on its own. This is Pakistan's answer to comfort food! The Chicken Achari was one of the other recommended dishes. Kalonji (Nigella seeds) are what make this dish unique. It's one of the most distinct spices in the Pakistani spice cupboard. It's a great ingredient to use, because it adds such a powerful dimension of flavor to food, but it has to be used properly, otherwise the taste can be overwhelming. After dinner we were served this traditional sweet supari often used as a mouth freshener after meals. It consists of fennel seeds, dried toasted coconut, beetlenuts, dried fruits, rose petals, menthol, and other flavors. Our first stop on this culinary field trip is Zaroob. A funky and modern take on Levant street cuisine. With waiters that look like Japanese Samurai to the eclectic decor, this is definitely a unique experience in Dubai which you can enjoy on a budget. We ordered a couple of nice snack items like Fried Haloumi skewers that we thoroughly enjoyed wrapped up in the delicate and crispy Saj hot of the griddle. We also had some other traditional items such as Houmous, Tabouli, Fatoosh, and Shawarma. All very tasty, and convenient. It's the perfect place if you're looking for quick bite out that also satisfies and is considerably healthy. We left feeling good not only because of the meal, but because of the service and vibe at this cute little snack spot located right on Skeikh Zayed Road next to Al Attar Tower. We left the restaurant satisfied with the food and plenty of leftovers. Reem Al Bawadi has two restaurant locations. One in Jumeirah and the other on Sheikh Zayed Road. They also have a number of other smaller stores, one is dedicated to Hummus and Falafel in Umm Sequiem as well as a Bakery right on SZR. From delicious ethnic food to beautiful textiles and jewelry, Global Village has it all. From Turkish Delicacies like Kumpir to Lebanese Saj and some authentic Pakistani dishes as well....not only were my taste buds tantalized, it was also a feast for the eyes! Kumpir also know as a baked potato or jacket potato is common street food in Turkey. With a variety of condiments and garnish you can even make a meal out of this hearty snack. I couldn't resist the Baklava, a deliciously sweet dessert consisting of layers upon layers of Phyllo dough and nuts glazed with a sugary syrup, how can you go wrong? Baklava comes in many variations even some with chocolate! All that aside, I'm partial to the Pistachio, the most traditional form. At the UAE kiosk, conservatively clad women prepare some of the most traditional Emirati cuisine. Below are the luqeymat, a deep fried ball of pancake batter that is rolled in sesame seed and then drizzled with date syrup. This woman is making ragag, a traditional Emirati style flat bread. It is commonly served with cheese, date syrup or eggs. They were made on a hot plate, resembling a stone, which would have been used by the Bedoiuns. Next up.....PAKISTAN!!!! It really felt nice to visit this stall the sights, sounds, and smells took me back to when I last visited the home-land (many many years ago). I came across this Chaat stall, that was selling a snack known as Pani Puri. The best way to eat one of these popular snacks is to puncture the top of the little round fried crisp and fill it with all the fixings, including water, tamarind, chili, chaat masala, potato, onion, and chickpeas, then eat it whole! With all the heavy spices and flavoring, it's literally a party in your mouth! The beautiful array of colorful textiles, to the hand made leather goods. There was so much on offer at the Pakistan stall, I didn't even know where to begin! Seeing the overwhelming expression on my face, our tour guide was nice enough to treat us to these yummy dutch pancakes covered in Nutella!!! Next we paid a visit to the Dutch man who made those delicious little treats..... they really hit the spot! As you can see there were also some fluffy Waffles amongst the other goodies, I will have to save some room for those on my next round! Lebanon is up next.....and as I walked into this especially active area, we were warmly greeted by the Lebanese "lebneh" guys. This beautiful yogurt cheese is most commonly made of cows' milk in Lebanon, which is available all year; it is also made from goats' milk from April to September. They showed us their 22 different types of lebnah including a pomegranate and pizza flavor! Lebanese Saj is another classic snack food item that can be enjoyed in sandwich form or with dips and spreads. The dough is stretched until very thin and the baked on a convex metal griddle. It has a great texture and unique taste that makes it so addicting. Global Village is a fun weekend activity, there is so much to see and do and it's a perfect way to spend some quality time with family and friends. If you're looking for some trinkets and small gift ideas for a good price then make your way around to all the various countries and you will find something special that is sure to be appreciated. For more information on Global Village check out the link below and for the full segment I filmed stay tuned on Dubai Events Calendar. Last evening at the Dubai International Film Festival, as we left the screening of TerraFerma, a dramatic Italian/French film about a Sicilian family that deals with old world values and making some life changing decisions amongst the challenges of modernizing society and unexpected visitors, we realized we had worked up quite an appetite! Torn about where to go (simply because I find most of the restaurants in the Madinat "Tourist Traps") Punam suggested Honyaki, the new Japanese joint. I admit I was skeptical, but so hungry at that point, I was willing to give it a shot......and I'm so glad I did! The Hand Roll was nicely presented with the right proportions of ingredients and the perfect dash of sesame! Salmon Tacos with Tobiko and a sweet soy reduction, a very flavorful morsel of goodness. The taco shell is made out of crispy potatoes. The delicate flavors are all nicely balanced in this perfect little bite. Tuna Toro with a Wasabi Ginger Yuzu Sauce and Crispy Leeks. This dish was a special they were running that evening and really was a special treat! I hope I get to enjoy this dish again, perhaps even suggest it becomes a regular menu item! Tuna Sashimi with Pickled Radish, Shiso and Sweet Plum Sauce. This was an unusual one, the presentation was cute, but tricky to eat. I enjoyed the combination but the pickled radish was overwhelming. It could have been a slightly smaller and thinner piece, which would have made the "spoon" a little more enjoyable. With its roots dating back to 1926 in Milan, Bice has been one of the staple Italian restaurants in Dubai since its inception With the brand being represented throughout Hilton properties worldwide, Bice is a familiar name when it comes to classic Italian cuisine. The interior has just been newly redesigned by Modo Milano and has transformed the space into a contemporary and elegant atmosphere while keeping that traditional Italian charm. With two-toned wood, terracotta, and iconic images of old world Milan, Bice is sure to give you an authentic Italian experience here in Dubai. Foie Gras Duo, seared served with a caramelized onion jam and the chilled torchon of Foie Gras served with pesto and a drizzle of Olive Oil and Raspberry Coulis. I normally prefer the torchon, but in this dish the balance of the sweet caramelized onion jam with the seared foie gras really stood out to me. Such a decadent dish, but I'm not even thinking about the calories when it tastes this good. Beetroot cured Salmon Carpaccio with caper berries, fresh fennel, and a heavy drizzle of Olive Oil. The light hint of beetroot on the delicately thin salmon carpaccio melted in my mouth. With the fresh crunch of fennel and the distinct taste of extra virgin olive oil, this is my idea of the perfect starter. Filling, but not heavy, a lovely play of textures, flavors, and colors. A shaving of fresh white truffles! I have admitted it in the past, and I continue to say my obsession with truffles is still going strong. We did order a couple of other items "sans" Truffle, but these are just the dishes I chose to highlight. Amongst some of the other items was a beautiful seafood risotto plus a tender and beautifully seasoned veal chop with a creamy mushroom sauce. Delicate Spinach and Ricotta stuffed Tortellini with Black and White truffle cream sauce.....yumm! All the pasta at Bice is all homemade, and you can taste the difference. They stay true to the authentic Italian experience with their selection of menu items as well as the appropriate ambiance. Hmmmmm...where do I begin!? We actually had a difficult time tackling this dessert because the presentation was so meticulously assembled. This is a yogurt semi-freddo and chocolate cake stacked on top of crispy wafers and fresh berries. This was one of the most unusual desserts I've ever head. A Raspberry Creme Brulee with Truffle ice cream!!!! The Raspberry Creme Brulee was lovely, but the Truffle ice cream was a first for me. Apparently it has been done several times in experimental culinary kitchens around the globe. I rather liked the combination, and also spoke to the chef about it, who informed me they use the remains of the truffles which they grind into powder form and mix it into the ice cream batter, they also roll the ball of ice cream in additional truffle powder......Trufflicious! Lastly, we were given this special "Christmas Treet" at the end of our meal. Filled with cookies, chocolate, and berries it was a lovely way to complete the evening. 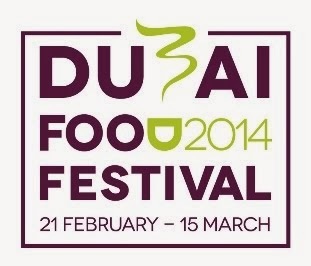 Bice is located at the Hilton Jumeirah on The Walk. Call to make reservations before you head to this popular lunch and dinner spot. They are usually busy during the week and especially on the weekends. Sonamu, a little taste of Korea in Dubai! Deira has become one of my favorites areas to explore. It's uncharted territory leave a lot of room for exploration and adventure! This evening we were curious to try out the Korean restaurant at the new Asiana hotel. This hotel just launched with a repertoire of authentic Asian restaurants representing the far corners of the East. Other restaurants included are Japanese, Chinese, and a Thai/Vietnamese. This hotel has become a destination for anyone looking for Asian cuisine, and now they even have a Kareoke Bar a necessary to maintain the authenticity to the culture. We began our meal with the traditional selection of Kimchi, a traditional Korean dish made with a variety of spices/seasoning and fermented vegetables such as cabbage, radish, onions, and cucumbers. I enjoyed the delicious bibimbap a rice dish served in a hot stone pot topped with a raw or fried egg that sizzles and cooks in the bot with the rest of the vegetable and rice medley. It is served with a chilli paste (gochujang) which is mixed into the bowl prior to eating. This dish can be served hot or cold, but I prefer it as a hot meal, Korean comfort food! The eel was my favorite part of the meal. It was beautifully seasoned with the spicy gochujang and a sweet soy sauce topped with sesame seeds. The tender eel meat was cooked well, and had a nice crispy texture on the outside due to the caramelized sauce, served with pickled ginger and mushrooms, the flavors all balanced well. The Asiana hotel is located on Salahuddin Street behind the Reef Mall. It's a beautiful space and well worth the quick trip over. Make a "stay-cation" out of the experience by spending the night and exploring everything the area has to offer! Let the Culinary Battle Begin! The Hilton Culinary Challenge 2011 took place last week at the Hilton Jumeirah Beach. The contenders battled it out for the prestige and honor of being the best of the best out of all the Hilton properties through the Middle East and Africa. It came down to three finalists, Conrad Cairo, Hiilton Seychelles, and Hilton Jeddah. Things begin heating up in the kitchen as the 3 finalists cook up there winning dishes that got them into the challenge. There were too many dishes to discuss with three different contenders preparing 4 dishes each. However, below are some of the highlights from the battle. This is Conrad Cairo's winning dish: Sautéed sea scallops, artichoke carpaccio, red pepper jelly, mint aioli. Gorgeous presentation with a variety of textures. Hilton Jeddah's winning dish: Grilled veal loin rubbed with Moroccan spices and Veal shank “Tagine” style with spicy tomato relish and puree of carrot and sweet potato. The authentic spices and beautiful colors really worked for me. The flavors were rich and hearty, deliciously satisfying! Seared Seychelles Bourgeois with Creole sauce was the winning dish from the Hilton Seychelles. It was a little sweet for my liking but the presentation was playful and colorful. The flavors of this dish resonate with the warmth and sunshine of the tropical island. The next part of the challenge was to prepare ingredients from the "Black Box" and incorporate them into a starter and a main. The box was filled with items such as: Pigeon, Lamb, Quail Eggs, Red Mullet, Clams, Star Anise, Beetroot, Mushrooms, Sweet Potatoes, and much much more! Hilton Jeddah made a Red Mullet on Pomegranate Ragout, garnished with clams and a touch of summer salad. The presentation was lovely, tasty, but i couldn't see how the pomegranate ragout tied into the dish. Conrad Cairo's dish was a duo of pan-fried pigeon served with star anise flavoured freekeh with pomegranate, redwine sauce and pan-fried lamb, grilled eggplant served with mushroom sauce. Giovanni Bavajee from Hilton Ras Al Khaimah Resort & Spa won the top prize for his RAK Passion cocktail which featured a sprinkling of local ingredients including camel milk chocolate and Ras Al Khaimah grown dates. It was a difficult decision to announce the winner, because they were all equal in my eyes. However the panel of judges were required to rate these competitors on a scale of creativity, taste, presentation, and relevance to the property which they represented. The winners were announced in the order they were ranked with the Hilton Seychelles receiving first place, Hilton Jeddah in second, and Conrad Cairo in third. There was a very small margin between the winner and the third place contestant, but alas, these were the results. A big congratulations to all the chefs involved in this competition, it was a once in a lifetime experience for me, and I am glad I could be a part of it all! The BEST Brownies in Dubai.....and much much more! I learned we shared a lot of similar passions and she even provided me with some samples of her other goods as seen below. This is a chocolate mocha buttercream dream....pretty good, but I'm still partial to the brownie! Another variation of the layers cakes, this is a whipped chocolate ganache layer cake. Great for a birthday or special occasion. Now this is Lidija's pride and joy...the Carrot Cake. She claims it's the best in dubai, and I have to say it definitely gives LimeTree Cafe some serious competition! It's slightly sweeter than the others, perhaps with a hint of pineapple, but the cream cheese icing is velvety, soft and delicious! Kisaku....just a short trip away!